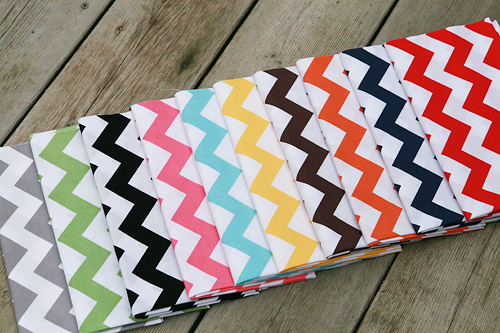 Riley Blake's Chevron has arrived! I missed the boat on the chevron in Moda's Half Moon Modern collection. I couldn't decided if I wanted it or not, and the next thing I knew the colors I wanted were sold out everywhere. So when I saw this new fabric by Riley Blake, I didn't hesitate. I am seeing this pop up in a lot of stores online, including Westwood Acres, Fresh Squeezed Fabrics and Bloomerie Fabrics. It is a beautiful day here and I just finished my daughter's Easter dress last night, so we are heading out to take a picture of it. I can't wait to share!